The First Trailer For ‘Ocean’s 8’ Has Arrived, Check Out The Madness Inside! It feels like we’ve been hearing about this movie for years, and that’s probably because we have. They started promoting this movie back in 2015, teasing the all-star cast, which includes Sandra Bullock, Anne Hathaway and Rihanna. 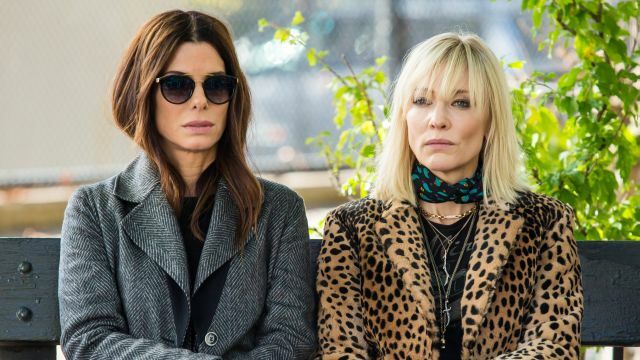 Ocean’s 8 is scheduled to be released next June, 11 years after the final installment of the original series. The early reaction to this trailer? Pretty positive. It does look entertaining, so at least there’s that. It doesn’t exactly feel original or even necessary, but at least it’ll be entertaining! As mentioned above, Ocean’s 8 will hit theaters June 8, 2018.